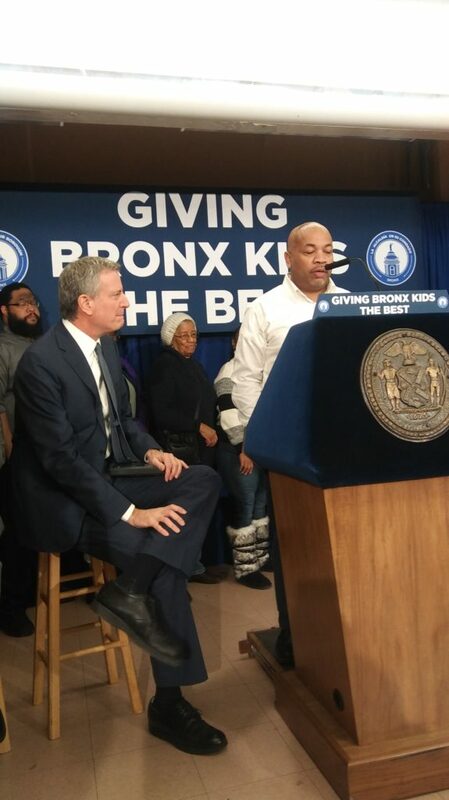 Mayor Bill de Blasio came to the Eastchester Gardens Housing Complex with NY State Assembly Speaker Carl Heastie, State Senator Jamaal Bailey, and Councilman Andy King to announce that the Community Center at Eastchester Gardens will receive $3.7 Million Dollars for renovations of the center. 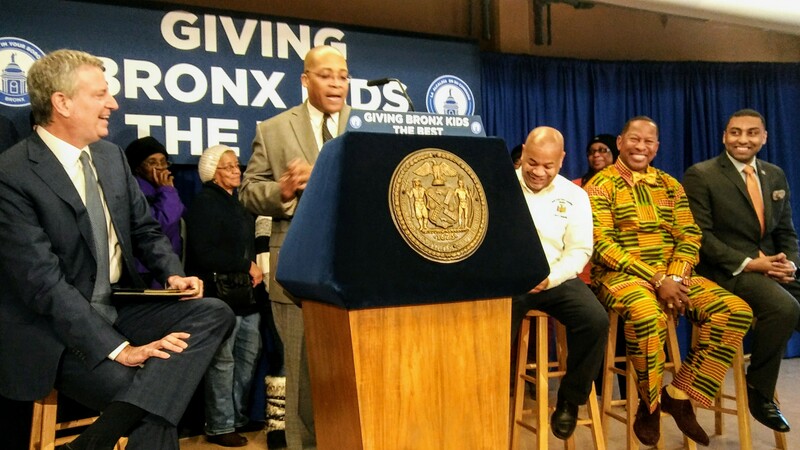 This announcement comes at the end of City Hall in the Bronx Week, and what Mayor de Blasio said was his continued commitment to bringing back the NYCHA housing system from the declining care of previous administrations. The mayor added that the Bronx has been shortchanged by previous administrations, but the Bronx is now going to get its Fair Share. Mayor de Blasio spoke briefly about his agreement with the federal government, saying that NYCHA must go forward, the federal government must put in its Fair Share of funding for NYCHA. Assembly Speaker Carl Heastie said that he was happy to see the mayor and Ben Carson come to an agreement on NYCHA, and added that Carson should have come with a check for the city. As for the Bronx being shortchanged, Speaker Heastie (Who grew up in the Eastchester Gardens area) said that is not going to happen anymore.